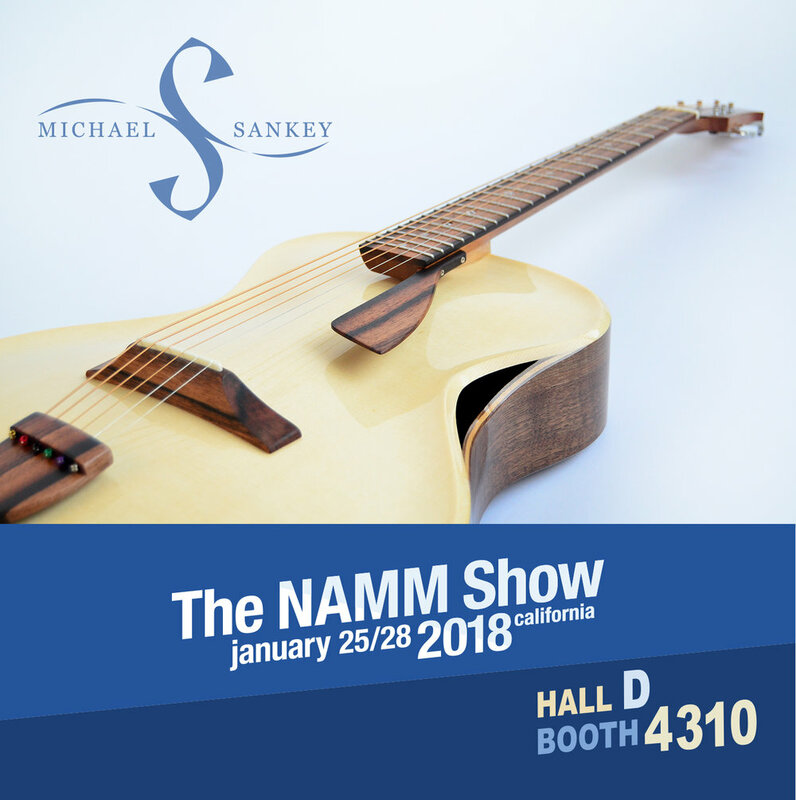 That's right, for the first time I will be exhibiting at the most important music trade event in the world, the NAMM show in Anaheim, California. I'll be there with 4 of my latest guitars (including a brand new headless archtop) as part of the Boutique Guitar Showcase. Sunny SoCal, here I come!